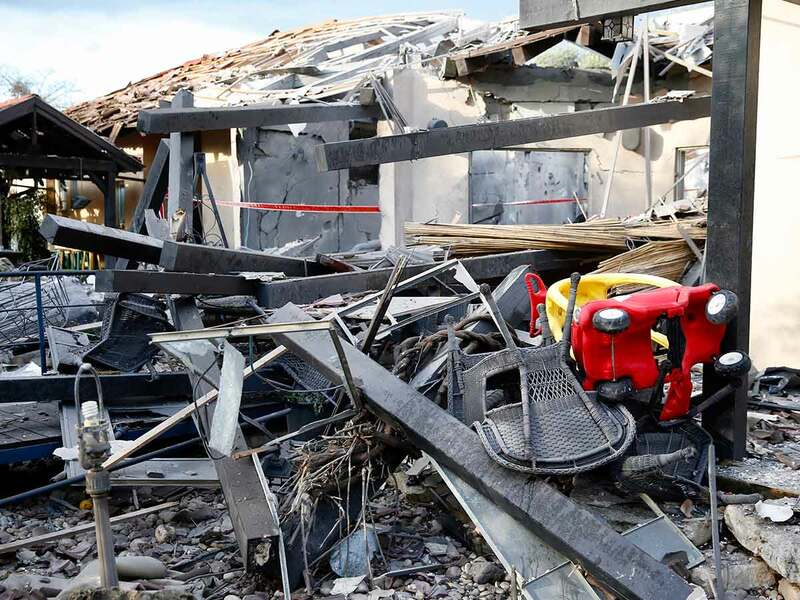 Occupied Palestine: An early morning rocket from the Gaza Strip struck a house in northeast of Tel Aviv on Monday, wounding seven people, an Israeli rescue service said, an attack that could set off another round of violence shortly before the Israeli election. "The launch was carried out by Hamas from one of its positions in the Rafah area," Israeli army spokesman Ronen Manelis said. The rocket would have had to travel some 120 kilometres rom Rafah to hit the house in the community of Mishmeret. Hamas had so far not commented on Israel's accusations. Earlier, its ally in Gaza Islamic Jihad said "we warn the Zionist enemy from committing an aggression against the Gaza Strip". There was no immediate claim of responsibility to Monday's attack.